You guys, tacos are one of my favorite foods. I don't say that lightly because I love most foods and I hate to play favorites, but I can barely resist a good taco. They're versatile and can be eaten for every meal. When Banza announced their Banza + Plants contest I said to myself "challenge accepted." 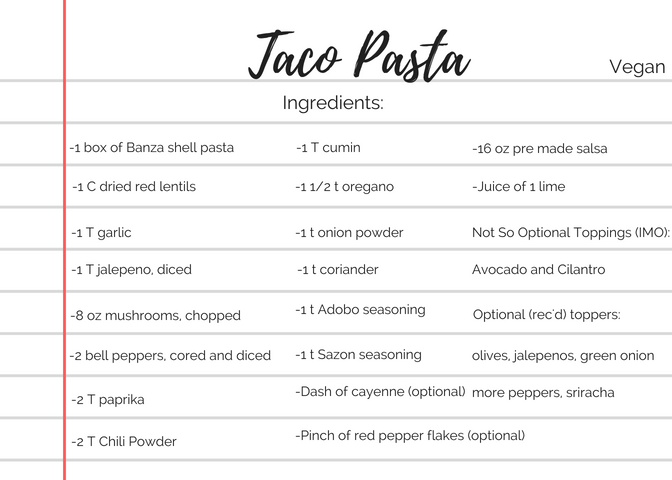 (I was re-watching How I Met Your Mother when it was announced so...) The challenge was to create a vegan pasta dish using Banza. Disclosure: As a nutrition ambassador for Banza I receive packages that include pasta and coupons. 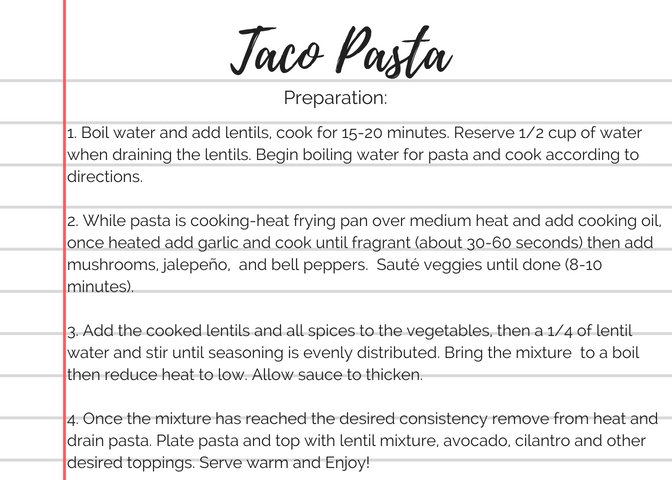 Banza provided the pasta for this recipe. My thoughts and opinions on Banza are 100% my own. This pasta turned out better than I imagined it would. Don't get me wrong I'm a good home cook (#humblebrag) but I've just begun really dabbling in recipe development. The conistency and taste of the mixture even had my meat loving husband enjoying it. SUPA PROUD. I highly recommend it for taco Tuesday... or Wednesday... or Thursday. Or Everyday. The leftovers make fantastic lunches. Okay, okay, enough telling you about how amazing this recipe is, words only go so far, right? I'll just let you try it out for yourself. I hope you enjoy and would love for you to let me know what you think!